The Traditional Way Chinese Healthcare has come up with an innovative healing concept under the guidance of our professionals. Our team has gained good deal of knowledge in this field and knows how to treat conditions with Chinese medicine & Acupuncture. With years of experience & expertise in the domain of herbal and Chinese medicine, our unit has been successful in helping patients of all age groups in leading healthy lives. Our healing facility brings you massage and affordable Acupuncture treatment to restore your body balance. We provide treatment for a vast range of imbalances that lead to body discomfort. Our therapy & herbal medicine course helps the body to heal naturally and prevents diseases from further recurrence. 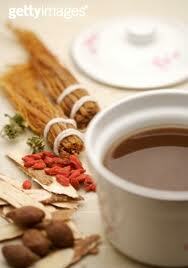 At The Traditional Way Chinese Healthcare, we are committed to take care of our patients. We stick to our mission of providing complete health maintenance service through herbal therapy, Acupuncture & Therapeutic massage. Incorporating our years of experience, deep knowledge and dedication we have been successful in guaranteeing you the best possible outcome.